It can be tough to find a decent car loan, so Firkins Mitsubishi is dedicated to finding you the best possible rates on a car loan in the Bradenton area. We work with some of the nation’s top lenders to offer you affordable monthly payments and the lowest interest rates available. We are a preferred source for the best car loan rates on a new Mitsubishi or used car in the Bradenton area. 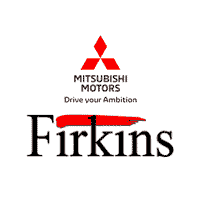 Keep it simple – here’s why you should come to Firkins Mitsubishi for your next Bradenton area car loan. Browse our dealership’s extensive inventory to find your next new Mitsubishi, or used car. Pictures, prices and details are available for all of our new and used vehicles. Please contact us if you have any additional questions.